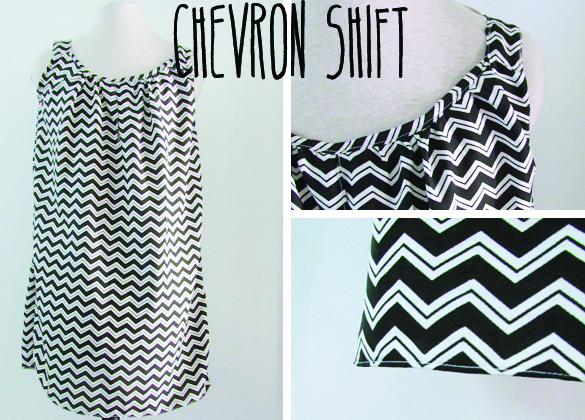 Are you tired of the chevron trend? yea me neither. It only took 2 years for the fabric stores in good old NE to finally stock some. This pattern is a simple shift dress from my May issue of Burdastyle. They go for a more tropical island vibe but as you may guess from my pasty white legs that's not really my thing; enter black & white polyester blend. 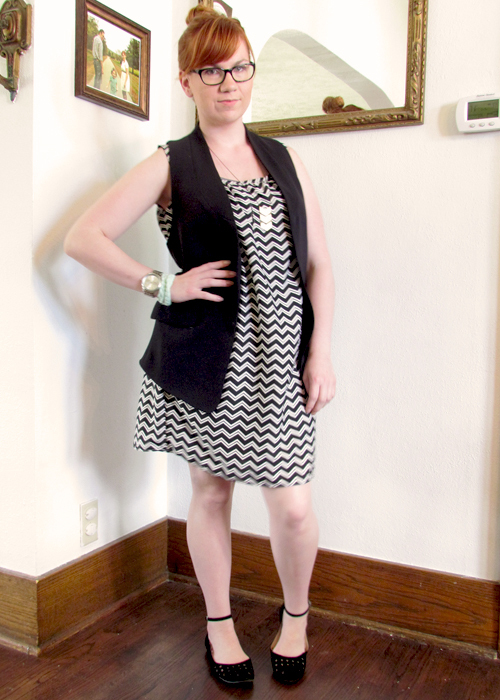 This is such a comfortable outfit to wear to work and I'm amazed at how versatile this little black vest has become.